Considering that you use it at an average of 8 hours a day, almost every day of the year with few exceptions, your mattress is one of the most-used pieces of furniture in your home. And the one that is more intimately tied to your health than any other. With a good night’s sleep being intrinsic to your daily functions and basic physiology, and with your mattress choice affecting that sleep, knowing just how to pick out the right mattress for you is key to fully enjoying both your sleeping and waking hours. 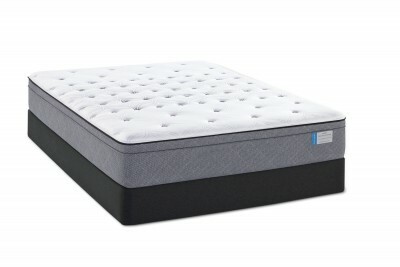 Your mattress needs to support your body while in a neutral position. This means that all body parts should be in alignment with each other, from your head to your toes. Your spine should have a natural curvature to it while your buttocks, neck and head are supported. A mattress that is too firm can push on pressure points and force body components out of alignment, causing you to experience increased neck, back and hip pain. One that is too soft does little to support anything and leads to misalignment and altered joint and muscle function. Studies have shown that mattresses that are considered to be medium-to-firm helps those with chronic or long-term lower back pain and those who slept on medium mattresses had less instances of back pain than those who chose softer mattresses. When shopping for a new mattress, take your time. “Test-drive” each mattress by laying on it in the same position in which you normally sleep. Take your pillow and spend at least 10 to 15 minutes on each mattress to determine which one feels right to you. Consider choosing one on the medium-to-hard side if you have a history of back pain and sleep rested knowing that the mattress you chose is the best for you.